On Tuesday, a powerful incumbent who raised more money than any other legislator in a contested election, Rep. Carl Trujillo, was defeated by a young Norteña, Andrea Romero, amid sexual harassment charges. An investigation by a House sub-committee of those charges by Animal Protection Voters lobbyist Laura Bonar is currently underway. While Trujillo amassed a war chest of special interest money, he also raised from individuals about as much money as Romero raised in total. In other words, a lot of people in his district supported him. But it wasn’t enough to overcome the #MeToo movement, which in New Mexico led to changes early in the year of the state Legislature’s sexual harassment policy, including the creation of an explicit process for investigation of charges. That step is what propelled Bonar to go public with her allegations against Trujillo. Most political observers would agree that the public response to the charges had a big hand in the outcome. He lost endorsements and Romero picked them up. Special interest groups made sure voters knew about the allegations. And Santa Fe’s mayor went on the stump for Romero. Notably, Trujillo’s defeat comes on the heels of state Sen. Michael Padilla withdrawing his candidacy for lieutenant governor last fall in the wake of #MeToo. It’s a big story about women and politics. But it’s not the only one. There’s also one about work over time to prepare and encourage women to run. Back in 2011, I did a story about the representation of women in the Roundhouse, that ran in the Alibi after my outlet, the New Mexico Independent, closed shop. The main takeaway was that if women run for office, they’ll win. And a principle way to make that happen is to encourage women to run. 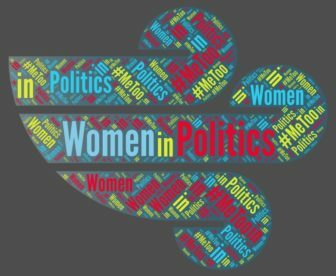 Featured in the article was an organization called Emerge New Mexico, which works to get more Democratic women to run for office, through training and encouragement. This year, a lot of women ran and won. Emerge NM took credit, and celebrated, stating on Facebook that 18 “Emergistas” ran and 13 won. I’m not aware of any similar Republican-centered organizations in New Mexico, but when writing in 2011, I found a Republican legislator, the late Rep. Jeannette Wallace, who echoed the key point that women will win if they are encouraged to run. “They said, Jeannette, you’d be good at that,” Wallace remarked when telling her story. Among the Emergistas who ran and won this year is Deb Haaland, a member of the Pueblo of Laguna and former chair of the state Democratic Party. Haaland will run against Republican Janice Arnold-Jones to represent New Mexico’s First Congressional District, which is being vacated by Michelle Lujan Grisham. Haaland is favored to win, although Arnold-Jones has solid name recognition in the district, so I would by no means count her out. Arnold-Jones has developed a following, in part, due to her fierce advocacy of transparency. She was one of the first to kickstart a movement to bring webcasting to the Roundhouse. Nearly a decade ago, as a state representative Arnold-Jones began webcasting legislative committees on her own, despite opposition from legislative leaders, including a dramatic showdown with then Speaker Ben Lujan in one committee meeting. Drama in the Republican camp sprouted almost immediately after the primary when Gov. Susana Martinez criticized the Republican nominee for the state’s southern congressional seat, Yvette Herrell. Martinez also defended her tenure to Coleman, saying she leaves the state in good condition. “We have grown jobs and diversified. It’s theirs to grow upon or theirs to destroy,” she said about the next governor. It’s possible Martinez is a little defensive given her statewide approval rating hovers at 37 percent. But it also comes to mind that she knows Republican candidates this year may run against her. Afterall, Martinez is the one who painted her opponent Lt. Gov. Diane Denish back in 2010 as hand in glove with outgoing Gov. Bill Richardson. All the while Denish did everything she could to distance herself from Richardson, whose approval ratings were also dismal on the way out the door. Pearce has danced around how to critique the outgoing governor, to date. The Santa Fe New Mexican’s Andrew Oxford characterizes Pearce as “keeping a distance” in a piece about Pearce’s prospects this year. It’s a fascinating read. Take a look at most oil and gas infrastructure — wellheads, pipes and cylindrical storage tanks — dotting New Mexico oil and gas fields, and little seems to be happening. But use the right equipment and you can see gases, including methane, wafting into the air.